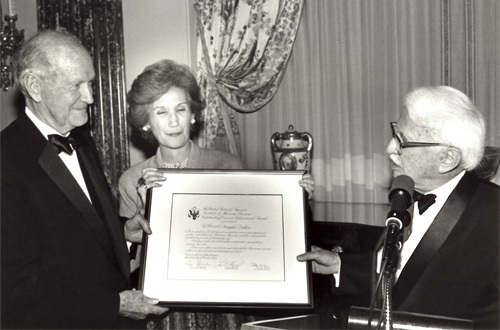 On September 30, 1996, Congress passed the Museum and Library Services Act of 1996, which created the Institute of Museum and Library Services (IMLS) within the National Foundation on the Arts and Humanities. The legislation incorporated what had previously been programs of two separate agencies: the Institute of Museum Services (IMS) and the Library Programs Office of the Office of Educational Research and Improvement in the Department of Education. 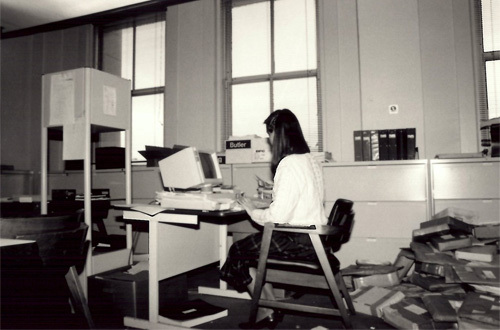 IMS was created in 1976 as part of the Department of Health, Education and Welfare and the library programs had been in existence since 1956. Lawmakers at that time saw “great potential in an Institute that is focused on the combined roles that libraries and museums play in our community life.” The newly created IMLS would comprise the Office of Museum Services and the Office of Library Services. Today, IMLS has grown to serve as the primary federal support for nation's approximately 120,000 libraries and 35,000 museums. The agency’s work benefits libraries of all types: public, research, academic and tribal; and museums of all disciplines: art, history, botanic gardens, aquariums, science and technology centers, children’s museums and zoos. With the help of a range of partners, we have inspired libraries and museums to advance innovation, learning and civic engagement. Now, as we prepare for the next 20 years we seek to empower libraries and museums to “Reimagine the Future” and continue to be catalytic forces in their communities, empowering and enriching the neighborhoods they serve. 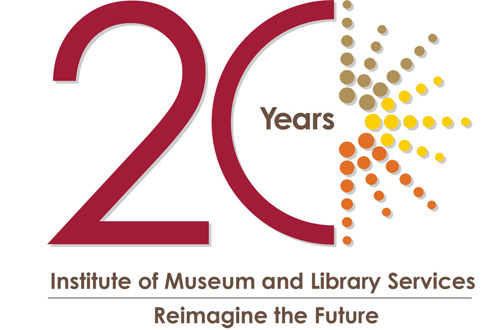 September 30, 2016 marked the 20th anniversary of the Museum and Library Services Act of 1996, which created the Institute of Museum and Library Services. We heard your stories of how an IMLS grant helped your institution and changed your community. We posted your stories and shared your great work on Facebook, Twitter and Instagram. 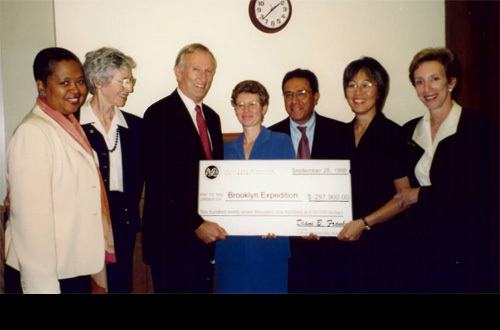 September 30, 2016 marks the 20th anniversary of the Museum and Library Services Act of 1996, which created the Institute of Museum and Library Services. 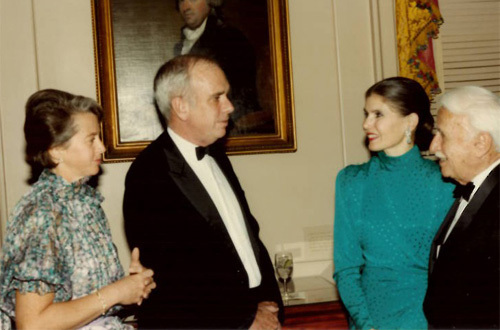 In this undated photo, IMLS Director Lois Burke Shepard is pictured with C. Douglas Dillon, who is considered instrumental in the founding of the Institute of Museum Services. 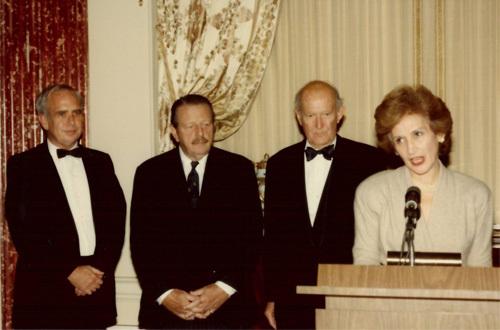 Former IMLS Director Robert Martin is congratulated by John Cole, Director of the Center for the Book at the Library of Congress, during his farewell reception. 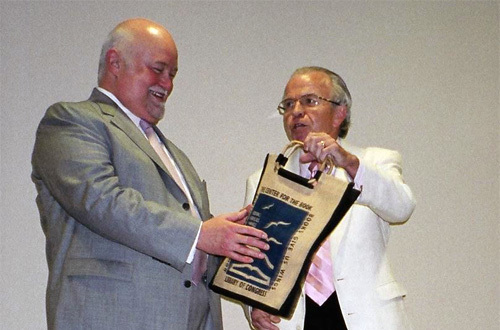 Martin was director from 2001-2005. IMLS Director Lois Burke Shepard is pictured with Jim Gold, Director, Bureau of Historic Sites.